Dear collectors of beer labels! Belarusian club volaty.by welcomes you to take part in the questionnaire "Belarusian Beer 2017"! We welcome every collector who accepts any beer labels from Belarus, regardless of the total number of labels or the country of residence. We count any labels (designed for glass- and PET- bottles, labels for (mini)KEGs etc. ). Please submit actual number of labels. Note that you can edit the questionnaire multiple times. Once saved, the questionnaire will appear with the same data when you reload the page under your account. Please submit your data before January 31st, 2018. We encourage you to forward the questionnaire to other collectors. ** production in B. Stiklevo / B. Trostenets («Minskoe pivo»/Maksel) is the same brewery which changed its address (and later also the owner). There are two distinct entries for it in the questionnaire to avoid confusion with the brewpub "Staroe Ruslo". The latter belonged to Maksel plant and also produced Beaver beer and was recently closed; after that Beaver beer was contract brewed by Minskoe Pivo. Minskoe Pivo was later acquired by Maksel and now continues to brew Beaver beer. *** Rechitskoe TM was brewed both in Rechitsa (PET-labels, paper base) and in Bobruisk (glass-labels; PET-labels on plastic base; KEG) from 2011 till 2013, both plants were subsidiaries of the Heineken corporation. 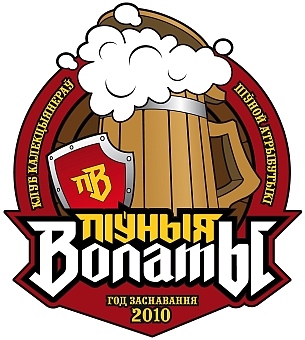 After 2013, all Rechitskoe labels are related to brewery in Bobruisk. **** Spring 2014 Vending Group (owner of "Staromestni pivovar" and "BEERzha" beer restaurants) acquired the brewery "Gradskoe Pivo" (Gradskoe TM) and introduced new brand "Venskoe", also brewing beer for their "Staromestni pivovar" restaurants.